A conversation over at Mel.Net has gotten me thinking about my favorite bourrées. These are sort of the reels of the Bal Folk world in that they are uniquely foundational to the dance and music culture. So, here are five bourrées that knock my socks off. St. Pierre is a thing of beauty — so simple — but then the vielle a roue (played by Patrick Bouffard) starts droning and you almost physically feel like you’re taking flight. 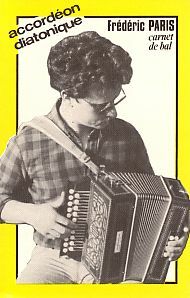 Carnet de Bal is one of the most influential recordings amongst the accordéonaire junta — still transports me every time. An archival, anthology recording put out in the US on Sylex records. This particular recording is, I believe, from 1931. The music was very different then … not folk, not archival, but contemporary. And very speedy! I’ve been working at this tune for a while. Almost there. The second tune is the star of this set. You’ll know you’ve gotten there when you suddenly feel like celebrating a victory. 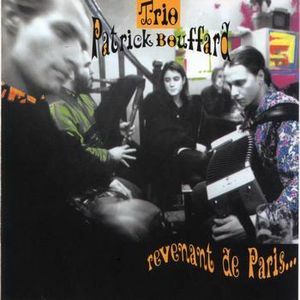 Bouffard’s trio (with Cyril Roche on accordion) is one of the most energetic units on the planet. The counter melodies are mind-boggling … also something I’m trying to learn how to do.